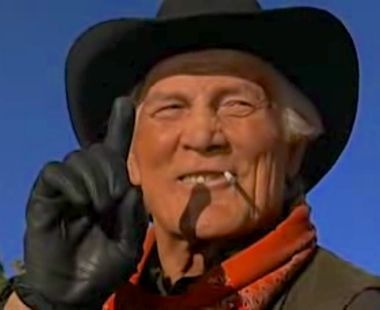 In the movie City Slickers, Curly, the crusty old cowboy played by Jack Palance, says the secret to life is “one thing.” When asked by Billy Crystal, playing a stressed out, overwhelmed New Yorker what that one thing is, Curly replied, “That’s what you need to find out.” Great. Thanks a lot, Curly. While I’m not offering up the secret to life, either, I can tell you that “one thing” is the secret to that mounting to-do list of yours. The “one thing” concept is not revolutionary or original by me. It came into focus for me years ago when I was programming a radio station and its music. The music scheduling software had endured years of many different hands being involved and therefore had a mish-mash of different ideas, theories, and work. Clocks, schedules, coding, song information, etc. Anyone who has ever scheduled music, know there are seemingly endless nooks and crannies to scheduling software and to that end, seemingly endless ways in which it can be messy, aggravating and overwhelming. Now you might not use the word “overwhelmed,” but I am guessing you have encountered a time when a project (or just your workload) seems so daunting, complicated, or messy, you don’t know where to begin, so you never do. You put it off. You procrastinate. And it remains this overwhelming mess. This is when I decided to take the approach of “I cannot do all of it today, but what is one thing I can do this week.” Just one thing. So one week I worked on shaping up clocks. Another week it was creating consistency in song coding. The next week it was updating categories and so on and so forth. I chose one thing a week, just because I had more on my plate than just music. But for you, maybe it’s one thing a day. I realize this seems overly simple. It is. And yet, we easily forget and get paralyzed by all that we have to do at any given time. Start with one thing and then do the next “one thing.” I realize this might not be as exciting as the secret of life and probably won’t be a signature moment in a movie, but it could help you feel less overwhelmed at work. needed to read that today.